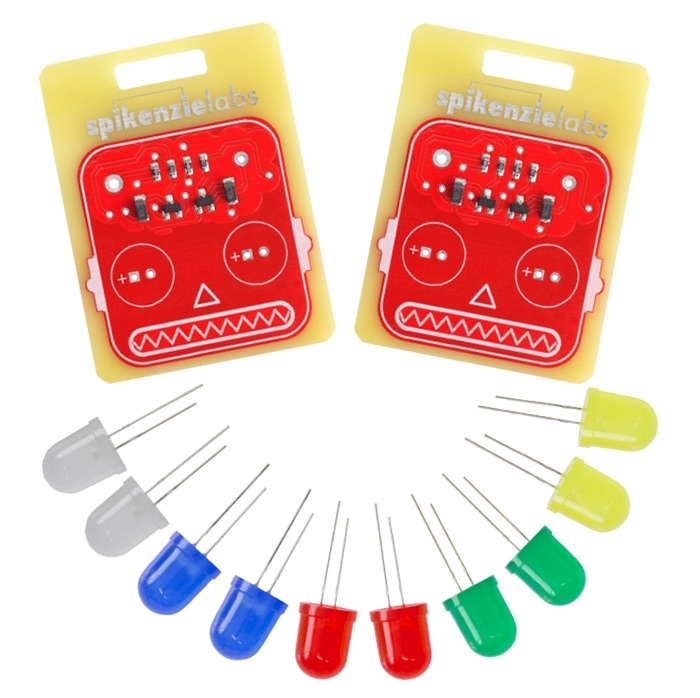 The SpikenzieLabs Robot Blinky Badge Bundle is a kit containing two learn to solder Robot Blinky Badges. 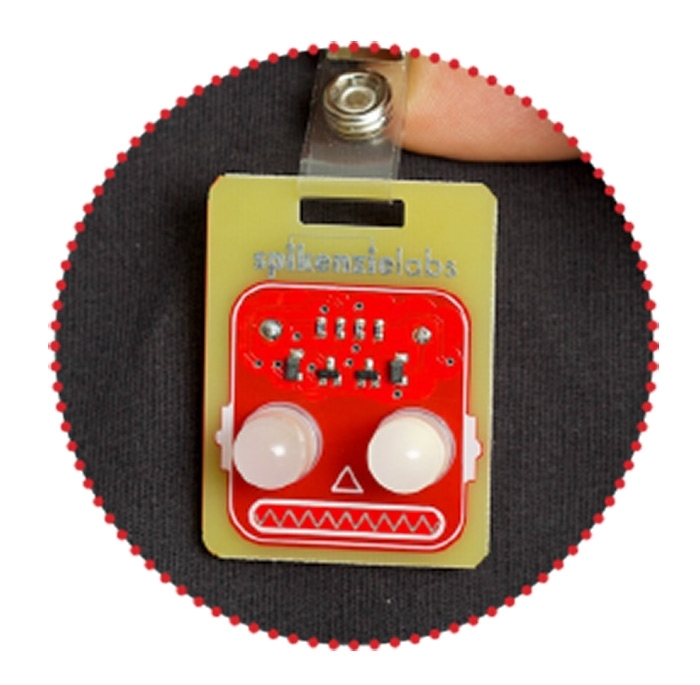 Also contains ten huge 10mm LEDs in five different colors, so you get to choose the color of your robots "eyes". The robot brains are pre-soldered to the printed circuit board (PCB). 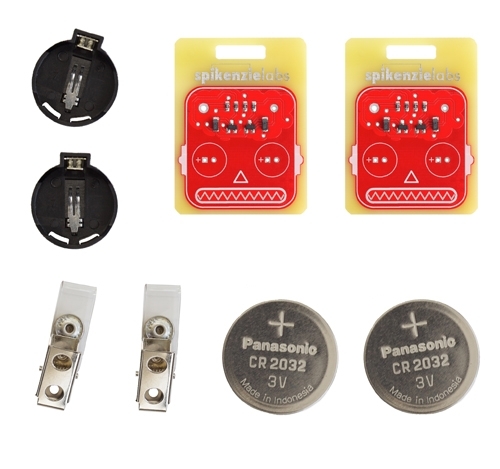 The LEDs and battery holder are all easy to solder through-hole parts. 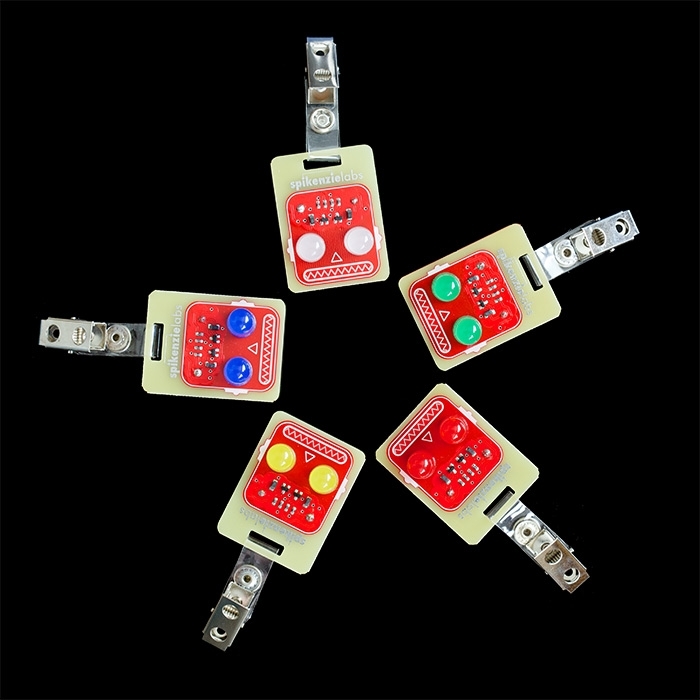 This is a great learn to solder kit.